This part is compatible with APPLE WATCH ACCESSORIES devices. See Chart Below. BELKIN PRODUCTS CANNOT BE SOLD TO ONLINE RESELLERS. Ideal for a nightstand, the BOOST↑UP Wireless Charging Dock provides 3-in-1 charging to power essential devices while a user sleeps. 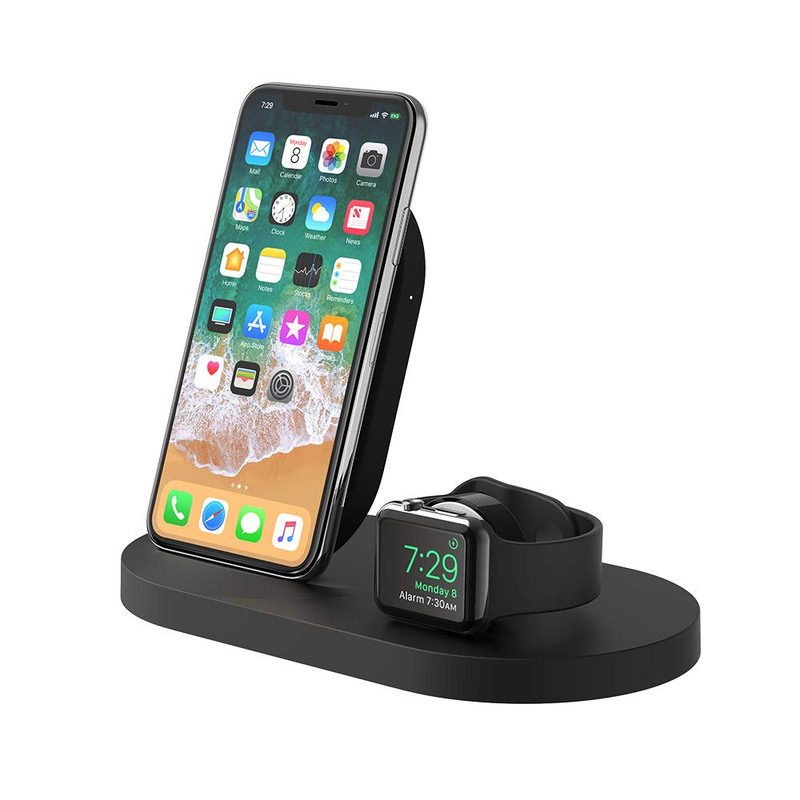 A 7.5-watt wireless charging pad fuels iPhone at the fastest possible wireless speed, while a 5-watt Magnetic Charging Module powers an Apple Watch. The dock supports Nightstand mode for the Apple Watch to enable the alarm clock feature as it charges. An additional 5-watt USB-A port allows users to simultaneously charge another device like AirPods or power bank, to create a three-device charging station all from a single AC outlet.